Blue Horse Medicine is the realized dream of Marla Green Kuhn, MA, LPC. Marla is a Licensed Professional Counselor with over 26 years of experience in the fields of counseling and education. 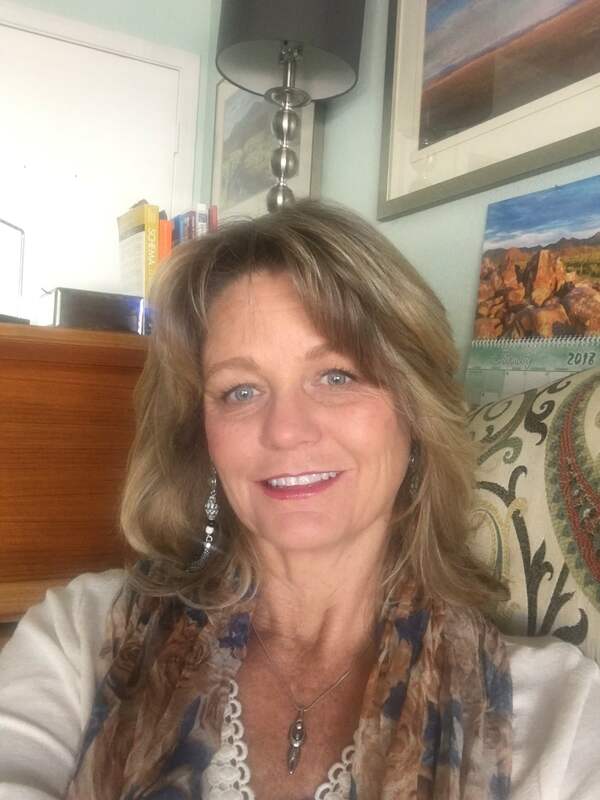 She has a Master of Arts in Counseling Psychology: Equine Assisted Mental Health from Prescott College (June 2006) and a Master of Arts in Art Education from the University of New Mexico (December 1990). Before returning to graduate school at Prescott College Marla was an art museum educator and a high school and middle school art teacher. Marla’s lifelong love for horses was apparent in grade school and by the age of 20 she was studying equine sciences at New Mexico State University where she competed on the Intercollegiate Horse Judging Team and practiced with the NMSU Rodeo Team. Upon completion of her BA degree in Psychology at NMSU, Marla and her American Quarter Horse mare Cindy Sure Skip set out to make their way in the world. From these humble beginnings, Marla and her horses have trained and competed in various equine events from roping and reining to eventing and dressage. Marla is intensively trained in Dialectical Behavior Therapy (DBT) and has offered adherent individual and group DBT since opening her private practice in 2009. Prior to starting her own practice, Marla provided traditional talk therapy and equine assisted psychotherapy for the residential clients of Mirasol Eating Disorder Recovery Centers and In-Balance Ranch Academy. With the formation of Blue Horse Medicine, Marla has successfully integrated her three greatest passions: art, horses and helping people to heal emotionally in order to fully actualize their greatest potential. Cobalt is a rescue horse and my partner in training and showing for the discipline of dressage. Tonic’s registered name is AM Hydrastine—she was bred by famed Tucson equestrienne, Bazy Tankersley of Al-Marah Arabians. Tonic’s previous owner gave her the nickname because she was a “tonic” for his soul. Ira is an off-the-track TB (meaning he was a race horse in his early days), His second career was as a jumper and dressage show horse. Ira is 26 years old and going strong! Yes, solid black, Ringo Class is a registered Paint Horse. Ringo has done it all! He has been a roping horse, a three-day-eventer and a 4-H jumping champion. Ringo is now in semi-retirement. At 6.5 lbs., Jensen is by far, the smallest of our four-legged therapists. Mr. Jensen’s preferred domain is the indoor office. When you arrive he will welcome you and walk you from the waiting room to the office—as any good butler would! © 2018, Blue Horse Medicine. All Rights Reserved.